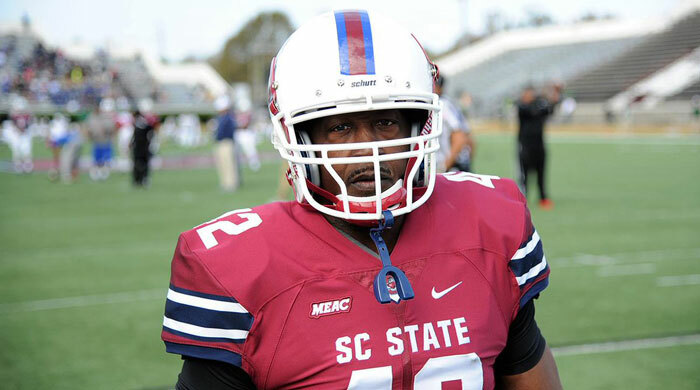 Division I football history was made by Joe Thomas Sr. on November 19 when the 55-year-old carried for three yards as a running back in his South Carolina State’s game against Savannah State. The father of NFL Packers linebacker Joe Thomas Jr., Thomas Sr. is a student at his son’s alma mater and is now the oldest student player to participate in a Division I game. You’re never too old to pursue your dream! The men’s soccer team has been suspended for the remainder of the season by Harvard University due to sexual comments team members made about members of the women’s soccer team. They called it their “scouting report” and circulated it online. It started with a found document from 2012 recovered by the school newspaper, The Harvard Crimson, but the behavior has continued through the current season. Harvard Athletics will partner with the office of Sexual Assault Prevention and Response to further educate the men’s soccer team (currently in first place in the Ivy League) and all Harvard student-athletes about the seriousness of their conduct and the standard of respect and conduct that the university expects of them. The entire Columbia University men’s wrestling team was suspended initially over a series of “racist, misogynistic and homophobic” texts that are disturbingly graphic and disgustingly offensive, something that’s evidently gone on for the past few years. What makes this story perhaps more upsetting than the Harvard story above is that Hudson Taylor, founder and executive director of Athlete Ally spent three years as a volunteer coach for the Columbia wrestling team beginning in 2010. During Taylor’s last year volunteering with the team, the seniors now involved were freshman. During their one year of exposure to Taylor’s positive character and conduct, what they learned didn’t stick or else they simply pretended to share the same values of inclusiveness and equality as their university, their full-time coach and volunteer coach Tayor. From his time as a student-athlete at the University of Maryland where he was a three-time NCAA All-American wrestler and holder of several hall-of-fame records, Taylor has been an outspoken straight ally for the LGBT sports community. As the Terrapins team captain, he famously wore an HRC equality sticker on his head gear to show support for gay athletes and also kept the locker room a safe place, free of homophobic slurs. He shared his reflections on this current incident in the Columbia Daily Spectator, the university’s weekly student newspaper and they are worth reading: http://columbiaspectator.com/sports/2016/11/14/reflections-wrestling-team-former-columbia-wrestling-coach. Mexican-born Daniel Suarez has become the first Latin American-born driver to become a NASCAR champion in the sport’s 68-year history by winning the recent 2016 Xfinity Series championship. Part of the Joe Gibbs Racing Team, Suarez is a product of NASCAR’s Drive for Diversity program intended to help young drivers of different races and ethnicities as well as females to gain opportunities and compete in NASCAR. For his final time, President Barak Obama presented the Presidential Medal of Freedom, our country’s highest civilian honor to 21 distinguished honorees “who have made especially meritorious contributions to the security or national interests of the United States, to world peace, or to cultural or other significant public or private endeavors.” Among them were three Hall of Fame sports figures – Kareem Abdul-Jabar and Michael Jordon, two great legends of basketball and Vin Scully who spent 67 seasons announcing Dodgers baseball. Congratulations to all the recipients! Photo courtesy of SI Campus Rush on Twitter.